Hello my lovelies how are you all today? Cannot believe in two days little Winston (puppy) will be running around like a maniac. We’re so excited!! Anyway, some more MO news for you, as I’m featured on the incredible B.Loved wedding blog today with the ever so talented Christian and Erica – Film Photography for the beautiful wedding of Vicci and James Massey. 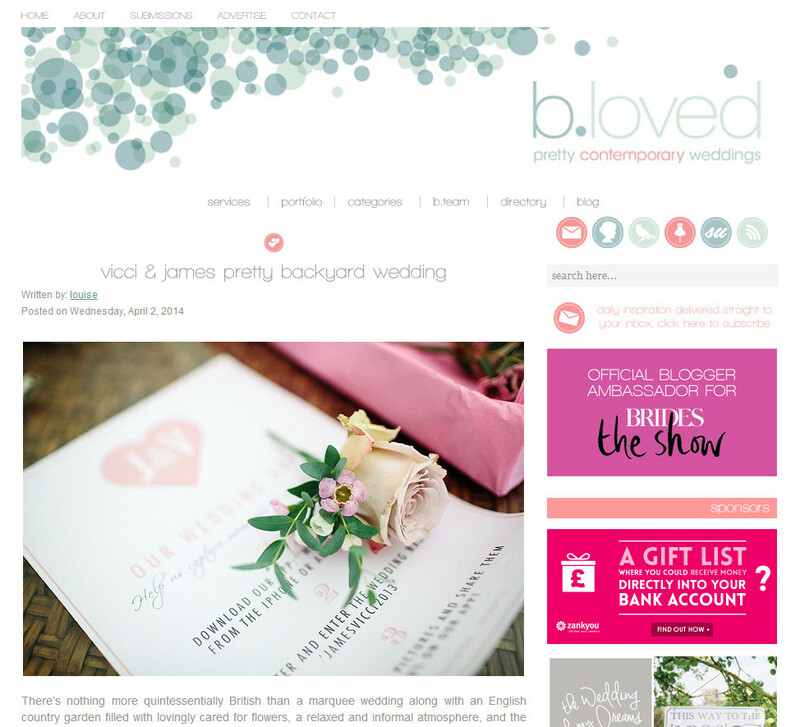 I absolutely love B.Loved as its classic and timeless wedding blog, showcasing simply perfect weddings and written in a creative way by head blogger Louise. If you’ve not seen it yet, it’s definitely one to watch and one of my favourites. I’ll be showcasing this wedding very soon also, but I just wanted to brag about been on the fantastic blog. Have a super day and thanks so much for popping by.